I know it's not polite to compare two filmmakers and their works. It's even more impolite to compare the works of the same director, but there's always this sense of liking towards a certain film that instantly connects with you overpowering the other. So here are all Jeff Nichlos's films ranked from the least favourite to the best. 37-year-old Jeff Nichols is already being considered as one of the greatest American filmmakers working today. It’s not his unique voice of story-telling that makes him great, though. It really is a knack for creating and working on characters that come from a niche that he knows well. His footings on stories from the American South usually gave him a kind of authenticity and ground to explore human expressions, relations and condition. Filled with deeply rooted familial bonds, Jeff’s stories have always had the love for the close ones as a perpetual phenomenon. His stories including the 2015 sci-fi film ‘Midnight Special’ have explored connections between human beings and their vigour to do what they think is right by them. The realness in his films often also come from constantly collaborating with his fellow mates. Michael Shannon has been a regular in all his films. The actor has been seen playing different roles in his films but all of them come from a real place in his head and heart. Which goes to show how well Jeff’s insights could be if seen from a perspective of a person who really understands his vision. Jeff’s films have always felt poetic in a very refined way. One of the reasons for that is the brilliant use of David Wingo’s score. Often haunting to the senses, his music leaves the film with you as you sit and think about it. I know it’s not polite to compare two filmmakers and their works. It’s even more impolite to compare the works of the same director, but there’s always this sense of liking towards a certain film that instantly connects with you overpowering over the other. So here are all Jeff Nichlos’s films ranked from the least favourite to the best. ‘Midnight Special’ saw Jeff Nichols entering the Blockbuster filmmaking arena. His first sci-fi film has a very peculiar semblance to Spielberg‘s body of work. Wherein he channels the likes of ‘E.T the Extraterestial (1982)’ & Close Encounters of the Third Kind (1977) but also ratchets the overall aesthetics into a reality where he follows his own storytelling style of having characters and situations which evoke real feelings that a human possesses. In the film, we follow Alton on a journey that is both mysterious and emotionally resilient. While the film has the genre trappings of a sci-fi film, (which somehow makes it a little less concerning to me than his other films) it really is a film about the beautiful bond that a father and a son share. The reason why ‘Midnight Special’ is that emotionally investing is it being a personal entity for Jeff. In an interview, he pointed out a certain illness that his young son had faced and the whole sequence where a father who doesn’t understand what his son really is and yet takes him along to safer grounds comes from a real place in his heart. Hence, fear and faith blend in a father’s worry to take his child to the safest possible allegory. Nichols’s film is so restrained in its convictions that the mystery that piles up in Alton’s site would never have a fitting end. Top 25 Criminally Underrated Films Of 2016. ‘Shotgun Stories’ is a beautiful debut film that observes key character moments of a story that’s looking to break the circle of violence. Hope lurks around the corner but is often misjudged because of the old scars that memories have left. There’s a very nuanced and subtle way in which Jeff takes his characters into question. There are such simple, unglossy moments of unforgiveness, guilt, and regret that Nichols’s way of dealing it all moves you, in spite of the effect not being equally heart-wrecking. Taking inspirations from Shakespearean tragedies, Jeff’s first film has a very astute sense of place. Set in rural Arkansas, the film often plunges into its environment giving you a sense of belonging. While the film basically examines human emotions like love, fear, anger and revenge it also examines the extent to which they can go if not stopped. ‘Shotgun Stories’ was shot on a shoestring budget and hence does not have the visual richness that is seen in other Nichols films. In spite of the shortcomings and the visual cues that often reminds you of Terrence Malick’s ‘Badlands’, ‘Shotgun Stories’ rises high up with a deep understanding of human expression and the very reason behind certain actions that people take. There have been a lot of romances that I have seen which depict the most enigmatic and lively kind of love. However, only a few of them show the purity of love as Jeff’s ‘Loving’ does. 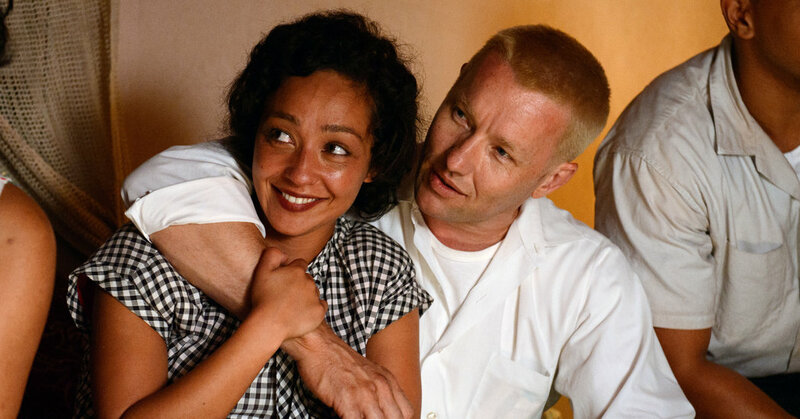 ‘Loving’ is the real life tale of Richard and Mildred Loving. A couple who were plaintiffs in the 1967 U.S. Supreme Court decision in the famous Loving v. Virginia case that invalidated the laws against interracial marriage. Inspired by Nancy Buirski’s documentary ‘The Loving Story (2011)’, Nichols’s film focuses more on the love that the two people shared than the historical case they were involved in. Joel Edgerton & Ruth Negga make the couple’s love feel more sincere and beautiful. Jeff’s film is a story of unconditional love. In spite of the differences in their colour and ethnicity, the love they have for each other was always greater than their love for themselves and hence the purity of it makes you want to believe in this sacred bond. The film has a very old-school charm to it and Jeff doesn’t let it slip in any way. His approach to this story is not as heavy-handed as his other films which make it really subtle and memorable. ‘Loving’ is a celebration of love. It’s an ode to not succumbing to compromises and fighting your way through the quagmire to live and breathe in a liberating unison. 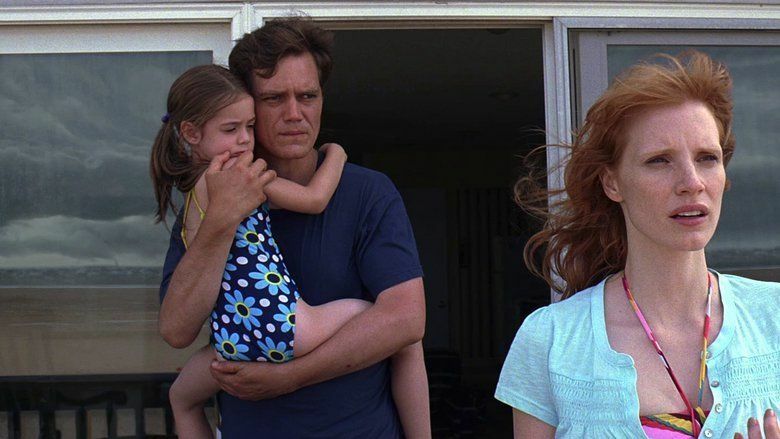 ‘Take Shelter’ is arguably Jeff Nichols’s most powerful film till date. Featuring one of the most under-appreciated lead performances of the decade by Michael Shannon, the film examines the constant efforts of man – a father and a husband, as he goes to extreme heights to keep his family safe. With almost haunting and claustrophobic imagery Jeff Nichols’s sophomore film is more about the feelings an audience goes through rather than what is really going on the screen. While it’s basically about anxiety, paranoia and helpless that a man suffers it’s also about midlife crises and the heavy weight of responsibility that comes onto one’s shoulder. What makes ‘Take Shelter’ more powerful is its symbolic nature. Wherein, the storms and the man-made shelter are not just happenings but are manifestations of what a person might go through when faced with the trouble of protecting those who matter. The ambiguous ending refrains from formulating answers and hence most of the questions become part of you. ‘Take Shelter’ is Nichols’s masterwork. A singular vision that deals with a lot of intermingled family dynamics while it’s entire focus is on the backyard and an ordinary calamity that may or may not come. ‘Mark Twain’ has had a great influence on Jeff Nichols’s life. Which goes to show why ‘Mud’ is possibly his most potent, heartfelt and moving film. Seen through the anxious eyes of a 14-year-old, the film takes cues from Twain’s ‘Adventures Of Huckleberry Finn’ to formulate the story of two young boys meeting a man living/hiding all alone on an island by the Missispi River. Like Finn’s adventures which are often taken up as a foreground to examine the satirical taste of racial slur, Jeff’s film beautifully shows the various forms of love with all its heartbreaking consequences. A coming-of-age tale of great important, ‘Mud’ is a film about love and loss. With it’s richly textured and well-written characters, Jeff tries to get all the emotions reeling and gets them all right without a fault. Ellis who is going through a tough time as his parents are about to get divorced gets to believe that true love is not extinct. However, Jeff’s film is not a fairy-tale and he goes further giving his story a depth that makes it’s a truly unforgettable film.